They’re back. Finally! 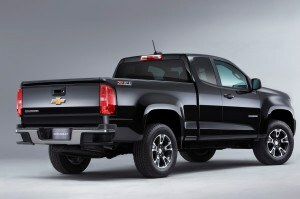 After months of speculation and many questions from impatient dealers and customers, the Chevrolet Colorado and GMC Canyon will make their return to showrooms in fall 2014. The pair was extremely popular when they debuted in 2004 and proved to be reliable and very versatile. Sales of the Colorado and Canyon were halted in 2012 leaving a gap in the small truck segment that GM desperately needed to fill. Thankfully, General Motors has heard the cries for a redesigned domestic entry that would dethrone segment leaders such as the Toyota Tacoma and Nissan Frontier. For 2015, the Chevrolet and GMC variants receive two engine choices – a 2.5L four cylinder and 3.6L DOHC V6 which can tow up to 6,700 lbs. Later on in 2015, rumours persist that a four cylinder turbo diesel option will be offered. Cab configurations will come in extended or crew with a five or six foot bed offering. 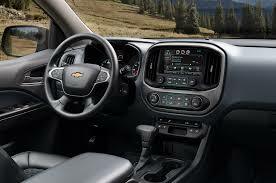 A quiet interior with generous technological innovations is to be expected as well, piggybacking off the success of the newly redesigned Silverado and Sierra models. 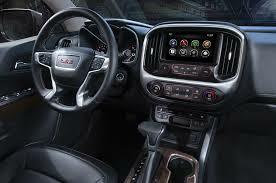 Interiors will have an available 8 inch diagonal touch screen that will house Chevrolet MyLink or GMC Intellilink systems. Safety will be no issue thanks to a host of airbags and seating is designed to be comfortable for every trip. The appeal of the Colorado and Canyon models is simple – smaller, lighter and more efficient. However this does not diminish their ability to function as trucks. Not everyone requires a crew cab, V8 powered monster with the ability to tow 10,000lbs. 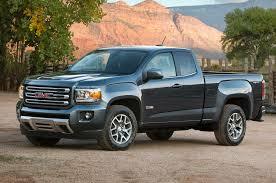 For those who don’t, but still wish to have the functionality of a truck, the Colorado and Canyon are excellent choices. This is especially true here in Vancouver and Coquitlam, where a mid sized pickup will easily fit into an underground parkade or snag the last parking spot on a crowded downtown street. As soon as the first Colorado and/or Canyon arrives rest assured that there will be pictures and videos up. Until then we can only wait with eager anticipation!